Recently I had a wonderful nanny weekend with our three youngest grandchildren. Every night was story time and then I was to give them some magnesium in water I loved this idea our daughter had introduced – a nightly ritual in their home. Most nights I personally roll on magnesium on the backs of my knees and the base of my spine it will not only help your health but give you a good night’s sleep. Magnesium has so many wonderful benefits. 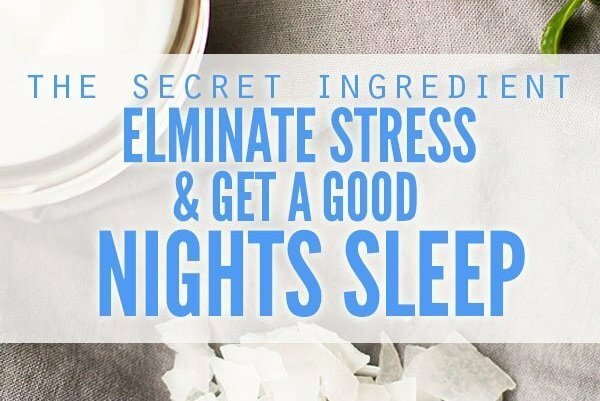 This is something my husband and I have done for years, we also take it orally as well as rolling it onto the skin directly, and I would encourage everyone to start their own nightly Magnesium ritual. For best oral results I recommend sourcing powdered magnesium for quicker digestion and better utilisation throughout your body. Something else I truly love to do is add Magnesium to my bath water. Commonly called Epsom Salt, Magnesium Sulfate gives you a combination of Magnesium and Sulfate. These two minerals work together in a process called reverse osmosis to remove toxins from the body and build key protein molecules in your tissues and joints. The skin is a highly porous membrane, and an Epsom Salt bath gives you a double health benefit – first drawing out the toxins, and then helping the skin absorb the Magnesium and Sulfate. Sulfates are necessary for healthy skin, brain, joints and nerve tissue and help activate the pancreas by triggering the release of digestive enzymes. Plus, there are mood-elevating benefits of an Epsom Salt bath. Bathing in Epsom salt is known to be an excellent de-stressing tool, it works to level out excess adrenalin and helps to produce calming serotonin. Experts advise that you need about 40 minutes to get the true benefits from an Epsom Salt bath. Run a warm bath, and try to use water that is filtered (non-filtered water is full of fluoride, dioxins, and heavy metals that can counteract the detoxifying benefits of Epsom Salt). The first 20 minutes are for pulling out the toxins, and the second 20 minutes are to let the Magnesium and Sulfate soak into your skin. Light some candles going and make the most of this time for you. Enjoy!! 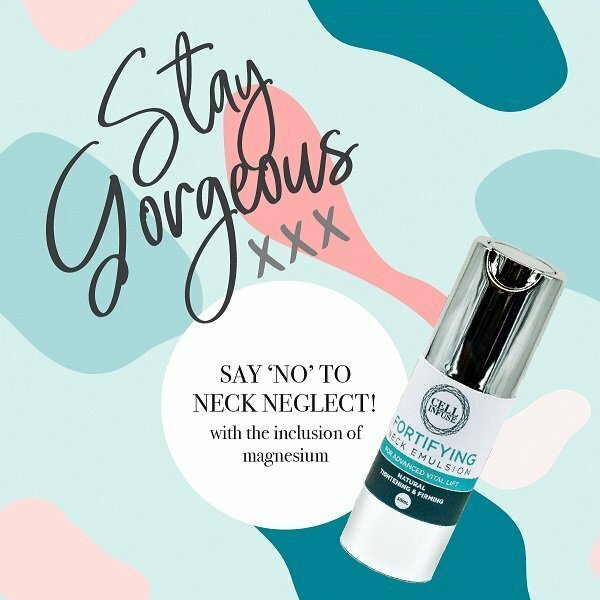 Over the next few months I will be including magnesium in DAYTIME and STEMULATE. But at present enjoy having it in our Fortifying Neck Emulsion!! Try it for yourself – the benefits are wonderful! If you have blown the candles out for your 35th birthday, or older and are still not using a Vitamin C serum, I would encourage you too. And here’s why…. The most famous Vitamin C tale involves a group of sailors who ran out of oranges at sea and suffered terrible scurvy. What’s less well known (and maybe less macho) is that those sailors also would have had terrible skin. 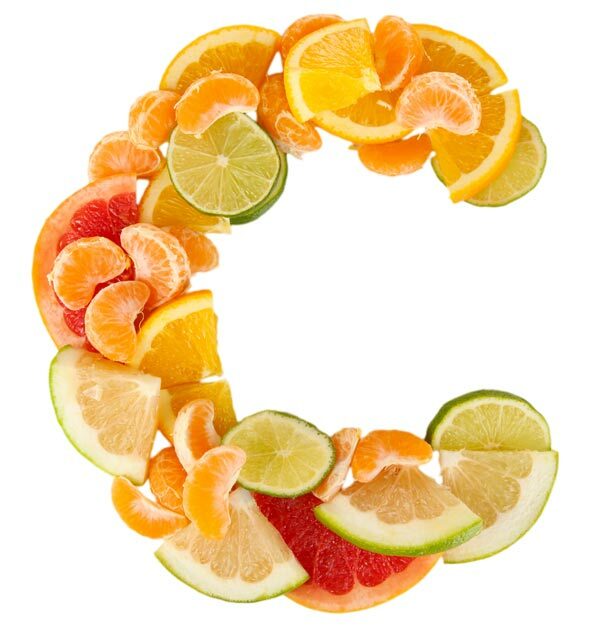 Vitamin C is a key ingredient in healthy skin. It protects your cells from DNA damage and heals wounds. DNA damage from the sun and pollutants increase your cancer risk and harm your appearance. It’s very exciting to know that Vitamin C can also help reverse this damage once it’s happened, since Vitamin C has both protective and restorative properties. In response, researchers recently provided a Vitamin C derivative to people and found that it helped activate several genes involved in skin regeneration. Since Vitamin C can protect and repair your skin, it’s best to apply it in the morning and then again in the evening after cleansing. This will help your skin recover from environmental damage it receives during the day. Make sure you use Vitamin C that comes in a bottle with a pump rather than a jar. Vitamin C in a jar is more likely to deteriorate from air and sunlight. If you’re over 35, I’d encourage you to use a Vitamin C serum regularly. I was a hesitant at first, thinking that some of the beauty products I use contain Vitamin C anyway. 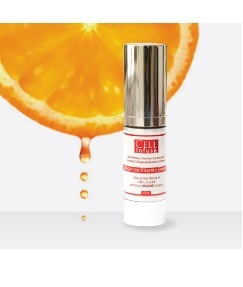 However, that’s not enough, you need to just a product that contains all of the right ingredients to accompany the Vitamin C.
To get the right amount of Vitamin C into your skin, consider using a little Regenisis Vitamin Serum followed by other moisturisers or anti-aging creams on your face and neck. Alternatively, mix the Regenisis Vitamin Serum with your moisturiser and apply it. You’ll be thrilled at your firm, glowing and healthy looking skin.